Shelly Donnelly is the receptionist for our Rincon office, and has been a welcome addition since starting with the agency in 2017. 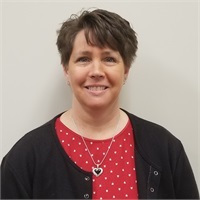 Shelly is often the first point of contact when visiting the office, and is responsible for answering and directing calls, processing client payments, and handles scanning and clerical support for several departments. She currently holds a sub-agent license, and will continue with additional insurance education classes. Shelly loves getting to meet new people, and is quickly establishing herself as a client favorite.